New antifouling June 2018 and 2 new props on the star board. GRP sandwich construction from respected French yard. 2 heads, 2 showers plus cockpit shower. 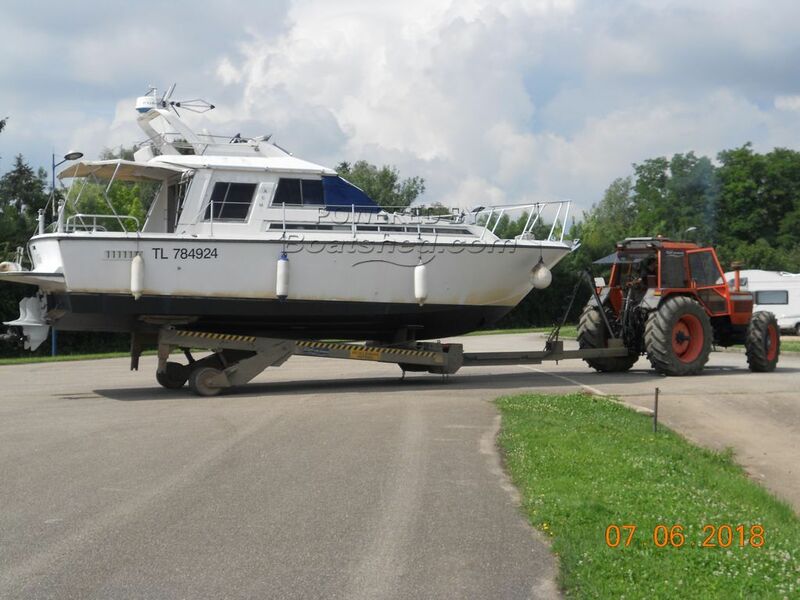 ACM 1100 Fly sports cruiser for sale in France. Boatshed Bourgogne is pleased to offer this Fly bridge sport cruiser for sale on the French waterways presently on an economical inland mooring. An ideal river & coastal cruiser yet able to cruise the canals to get from one system to another. Mechanically very well looked after with continuous professional maintenance this is a great marriage of practicality, comfort & fun. The antifouling has been done in June 2018 and 2 new props fitted. For sale for health reason, but regularly maintained even if the owners don't cruise anymore. For more information and appointments to view, please contact Graham WHARMBY, your Boatshed broker at Boatshed Bourgogne. This ACM 1100 FLY Quick Sale Health Issue has been personally photographed and viewed by Graham WHARMBY of Boatshed Bourgogne. Click here for contact details. Please advise where the boat is located, approximate annual fees for mooring etc. and perhaps approximate litres/hr at cruising speed and an idea of cruising time to reach the Med from boat location?